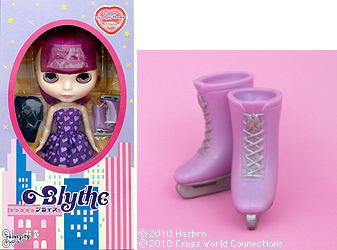 10 years have passed since the very first Neo Blythe was released in Japan. 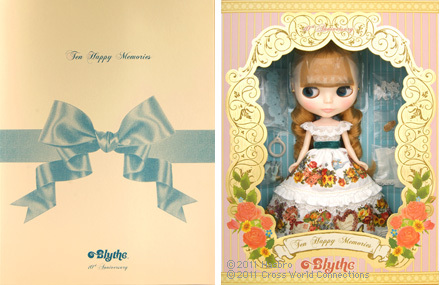 Over the years, we have released more than 170 Blythe and shared many happy memories with people all over the world. We like to thank everyone for your love and support for Blythe throughout the years! 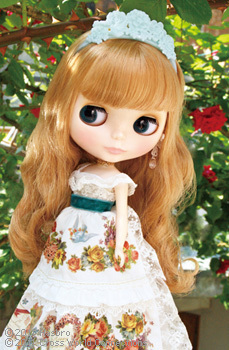 To celebrate her 10th anniversary, we are happy to announce this year's anniversary doll "10 Happy Memories". 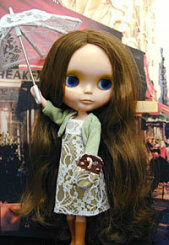 In honor of this auspicious occasion Blythe wears a gorgeous while dress. 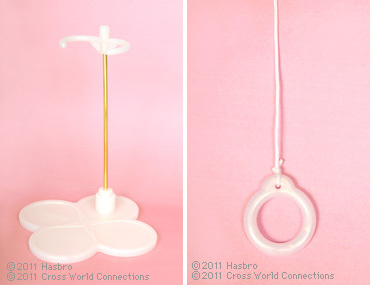 The silhouette of her dress has a high-waist with a princess line that flatters her nicely. The lace, frills and pin-tuck details are lavishly embellished with nostalgic flower and butterfly applique to highlight our design details. The back of the dress has a short train with 5 layers of tulle lace and accented with a velvet bow. The tiara is decorated with lovely flowers and her earrings are made from lace and tear drop, pearl beads. Her choker necklace is made from lace and beads to showcase the delicate beauty of this princess's pure heart. 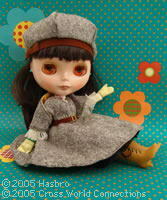 She has long curled hair with bangs in a new, light brown color. Hope has special make-up too! 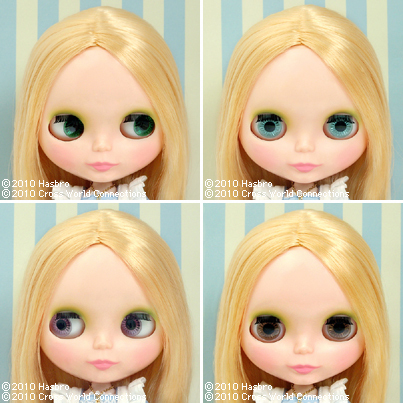 For the first time ever, her eyeshadow is gradated with two shades of brown and we added pearly-white highlights below her eyes to help them twinkle with charm. Her lovely pink blush and lips bring a sparkle of life and whimsy to her face. 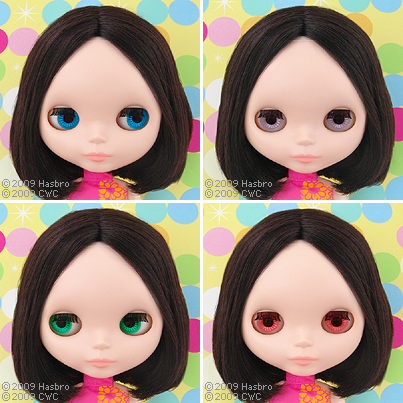 Her eye colors are all special colors and are framed by her lovely special designed eye lashes. Her face type is "Radiance" with a fair skin tone. Each Hope comes with a special limited edition serial number card. 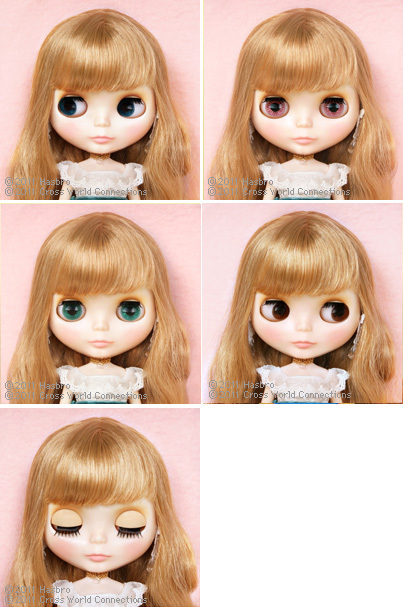 [Make Up] Light brown and medium brown eyeshadow, white highlights, cheeks and lips are pink. Emerald Green (Front) *All 4 color are special color. 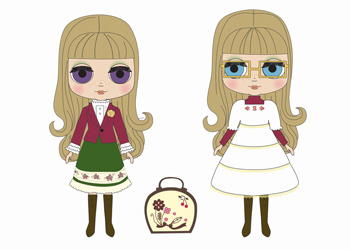 Limited Edition of 2011 dolls. 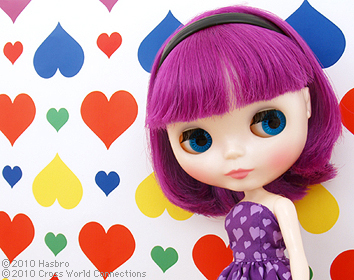 Simply Thumpty Thump wears a purple dress with a heart pattern inspired by a skate costume. The flared mini skirt is double-layered and the dark purple under skirt is cutely shown from the bottom. For shoes, she wears black tights and purple skate shoes. 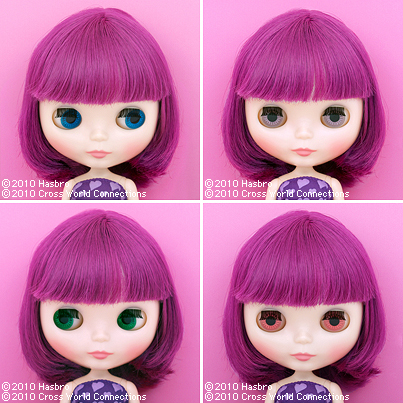 Her hair style is a bob that reaches her shoulder with bangs, and her hair color is slightly pinkish purple like berries. She decorates her hair with a black headband. 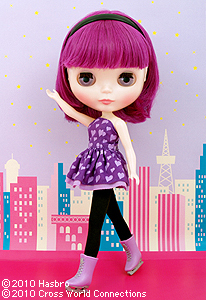 [ The set includes ] Doll, dress, tights, headband, skate shoes, underwear, and stand. 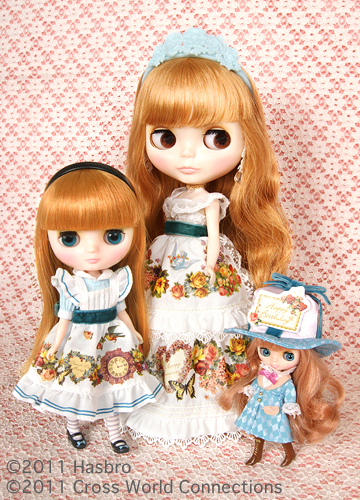 "My name is Tarts & Tea, and I enjoy delicious tarts with a cup of tea! I am ready to welcome guests with my favorite blue dress and white apron." The detailed blue puff-sleeved dress has pin tucks and lace at the bodice. 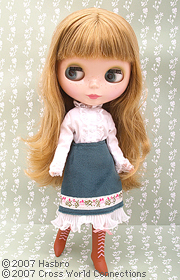 On her puff sleeves there are 2 decorative buttons. The skirt has two layers of pleats and lace. This is a wonderful dress for a festive tea party! The white apron's lace frills and fabric make a delicate and lovely design. The see-through laces sewn between the white cotton gracefully shows the blue dress inside. 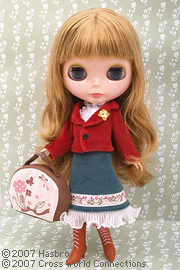 The apron is tied at the back with a cute bow. She wears old-fashioned bloomers under the dress. The bloomers have pin tucks, lace and small blue satin ribbons that add a subtle touch of charm. 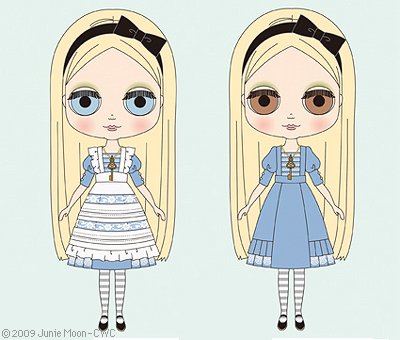 She has grey and white striped, knee high socks with black Mary Jane shoes. Her gold key charm necklace is also very cute. Her hair is golden blonde and parted in the middle. 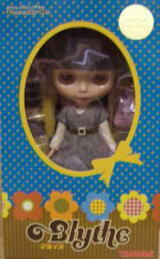 She has a beautiful black bow headband too! Her eye shadow is yellow with a tint of green and her lips, cheeks and nail color are pink. Her face type is the Radiance and her skin type is Natural. Would you like to have a tea party with Tarts & Tea? I'm sure the sweet aroma is inviting! 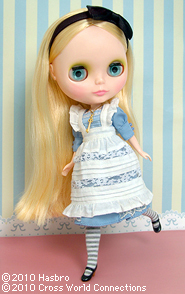 [ The set includes ] Doll, dress, apron, socks, necklace, headdress, shoes, bloomers, and stand. 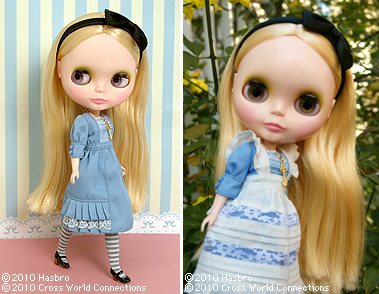 CWC Limited Edition Neo Blythe "Prima Dolly Tokyo" available soon! 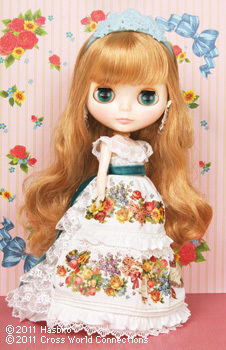 The Prima Dolly series welcomes another fantastic girl! 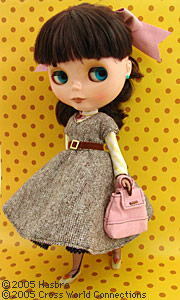 Her name is Tokyo, and her mature retro style is very unique and cool. 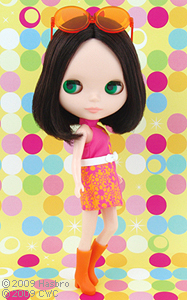 The pink halter-necked dress has an orange flower print, and a white belt which adds a fresh accent to her look. She has black center-parted bob hair. 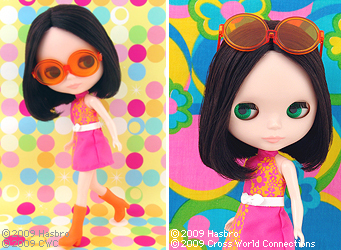 The clear orange sunglasses perfectly match her hair color. The matching orange boots completes her style. Her face mold is Fairest, her skin is matte, and she has lovely pink lips. 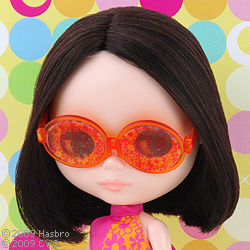 A decoration sticker for the sunglasses are included with the doll! Please enjoy the glasses with or without the stickers!